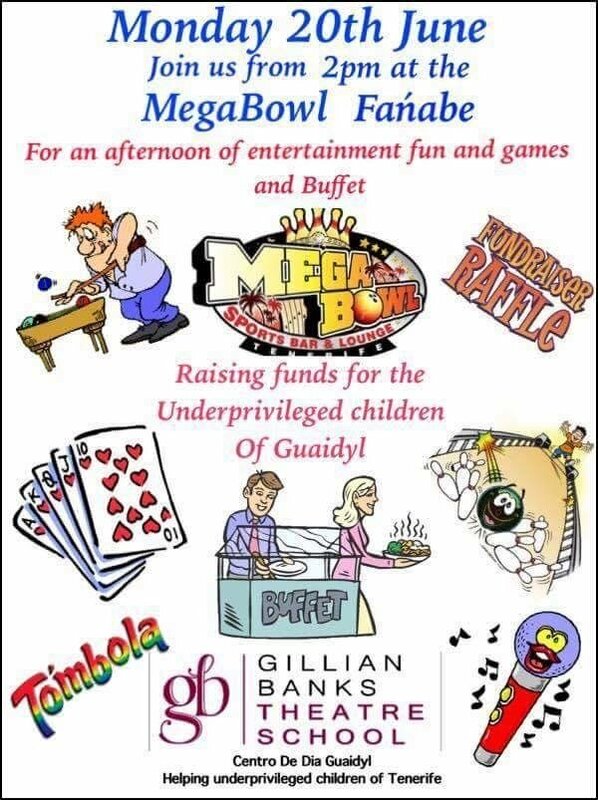 Charity event being held at Megabowl Tenerife for underprivileged children of Guaidyl. Megabowl invites you down to take part in an afternoon of fun, games, live entertainment and buffet! Gillian Banks Theatre School are organising the event which will raise funds to help the underprivileged children of Guaidyl. Come along and take part in the raffle, tombola, bowling games and more! Starting from 2pm.